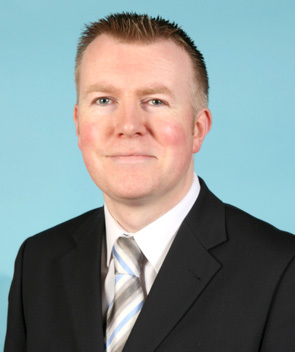 Edward Sweeney began his legal career in February 1997, having graduated with an Upper Second Class Honours Degree in Law from the University of Glasgow in July 1995 and having obtained his Diploma in Legal Practice from the same University the following year. He commenced his traineeship with a busy firm of civil and criminal court solicitors in the Lanarkshire area in February 1997, dealing mainly with Legal Aid work, before gaining a restricted practising certificate in March 1998 and qualifiying as a solicitor in February 1999. In April 1999, he took up employment in the Inverclyde area with a firm of solicitors, again specialising in Legal Aid work, initially in the field of criminal law in the main, before expanding into the civil and children’s cases which came to dominate his general work load. In February 2011, fourteen years after entering the solicitor profession in Scotland, he established the firm of E. Sweeney and Co., Solicitors, based in the West End of Greenock at Mansion House, 1 Ardgowan Square, Greenock, where he continues to practise. Since founding the firm, he has continued to represent the interests of clients in both the civil and criminal courts in Greenock and elsewhere, as well as acting for many clients in relation to personal injury and criminal injuries compensation claims. He attributes his success in the legal profession not only to the wealth of experience which he has acquired in practising on his own account and the many cases which he had dealt with in the previous fourteen years while employed as an assistant and associate solicitor before establishing his own firm, but also the experience of those with whom he works on a daily basis, a desire to be recognised as a trusted adviser to clients who choose to instruct him to deal with their legal affairs on their behalf, and the approachable, friendly and professional nature of his law practice. E. Sweeney & Co., would like to thank the House of Photography for the photography across the website.